I became ‘hooked’ on a question which has been underlying almost all of my work since, Specifically, why is it so difficult to implement just about anything at scale? Joining me today is Jim Selman. 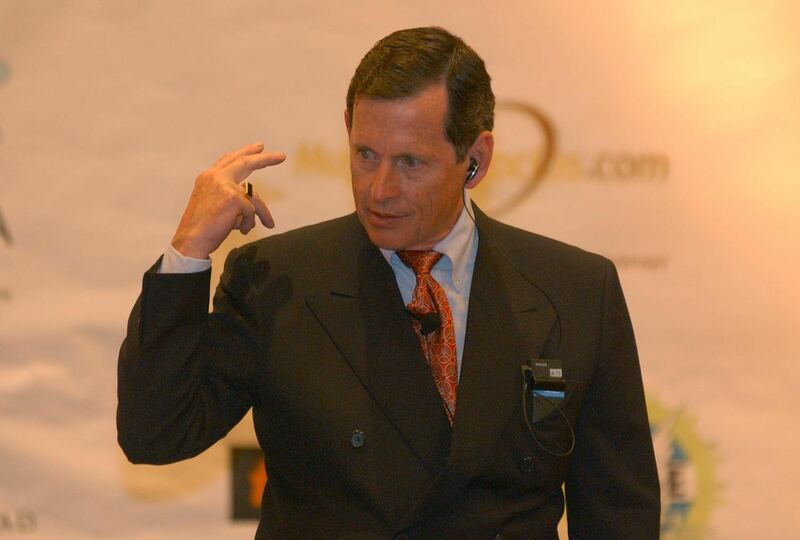 Jim has been a leading thinker and practitioner in business transformation since 1977. In 1984 he founded Transformational Technologies and worked with hundreds of companies prior to 1988. He first introduced the idea of business coaching in an International video conference attended by over 4000 executives and managers featuring legendary coaches John Wooden, Red Auerbach, George Allen, Tim Galway and Werner Erhard. He has authored several books and articles including “Leadership”, “Coaching and the Art of Management”, “Organizational Transformation: Innovations in Theory and Practice” and most recently, “Living in a Real-Time World, 6 Capabilities to Prepare Us for an Unimaginable Future”. A pleasure to connect with you for this conversation! Please share with us the story of how you decided to pursue your business, your books, & your transformational journey. I was a very young Management Consulting Partner in a big 8 Firm now called Deloitte Touche. I became ‘hooked’ on a question which has been underlying almost all of my work since, Specifically, why is it so difficult to implement just about anything at scale. We could make pilot projects work, we could have good people agree on the problems, design brilliant systems and agree on the solutions but when push came to shove, business and other organizations were pretty much the same year after year. After years and billions spent on re-engineering, The Wall Street Journal reported most of those effort fell short of expectations – the reason given was “PEOPLE and CULTURE”. We did the 3rd organizational culture change project at Lockheed in 1980. The first was led by Stan Davis at the Bank of America. This kind of work has been continuing and expanding ever since and is now a central aspect of any Large-Scale change effort or organizational transformation initiative. What top 3 lessons could others learn from your story? Don’t be afraid to commit to a possibility before there is evidence that its possible. You need to develop a kind of ‘Existential Confidence” that you’ll find your way. Love the questions and be able to tolerate being misunderstood and another person’s discomfort. As Rilke said, someday you’ll live your way into the answers. Keep your attention on and listen deeply to others. Your offer (and success) isn’t about your brilliance or ideas but about the concerns, commitments, moods and possibilities of your clients. What were the 3 most interesting or unexpected business transformation moments that you experienced in the past 3 years? Introducing new transformational concepts into corporate C-Suite conversations: “Real-Time World”, “Existential Confidence”, “Transformational Leadership. Which authors influenced you the most in terms of their inspiration and wisdom? What 1 to 3 tips would you give to young entrepreneurs for being successful in business and in life? Ask (and ground) your products or services in the question “what are the concerns of your customers that your offer is promising to take care of”. Ask the same question of all of your other stakeholders (relationships). ONLY the individual can commit, but none of our commitments can be fulfilled without other people. Assessments are never true or false including success and failure. Being an entrepreneur (or leader) is about creating the future. What world leader was most influential for you in becoming the leader you are today, and why? Vacav Havel – Showed you don’t need ‘credentials’ to make a difference in a field you care about. In Stanford University speech eloquently showed we’re all the same in the womb and that Constitutional Democracy may be salvation of civilization as long as we don’t turn it into a belief system. What are the 3 things that most excite you about 2019 or this moment in time, and why? paradigm is emerging and raising awareness and questioning of who are and are we creating the future or is the future creating us? Growing breakdown in our confidence (faith) in our institutions: media, justice, finance/banking, higher education, religion, science and leadership. I think we need to ‘hit bottom’ before we can expect a transformation at a scale it needs to happen OR we’ll remain in a circumstantial and increasingly ‘nihilistic’ drift. More and more US citizens confronting and taking responsibility for our governance and challenging the cynical and increasingly corrupt structures driving policy in USA. Specifically I think we will seriously confront campaign financing/special interests and address the problem I call “Lebonization’ of America — talking only to those who already agree with you, schools that teach what you believe, media (social and traditional) that reinforce your beliefs and institutional polarization. How do you think Leaders will need to change in in the next decade (2020 and beyond)? Need to acknowledge we’re at one of history’s turning point — a critical moment in history of humanity. We don’t trust our predictions, change happening faster and faster, we don’t have much (if any control) and complexity is becoming overwhelming giving impetus for AI and at a personal level numerous negative impacts from anxiety and resignation to resentment and despair. Leaders will need to master story telling – creating narratives to live by and creating new narratives of what has happened as well as what is possible. Have you launched a new book recently? If so, please tell us about why you chose to create it, a little more about it – and share the link(s) where you’d like our readers to check it out! Just Published. I wrote to and for what I observe as a growing number of people living in states of dissatisfaction, anxiety, resignation, depression and various forms of ‘going through the motions. Too many people are becoming spectators and struggling to find meaning and purpose from their work and in their lives. I think we’re on Star Trek – going where no one has gone before and don’t have maps for getting there — we all need to learn to navigate in uncertainty and find meaning in life as we go. Do our commitments create reality or does our view of reality determine our commitments. Is there question I should have asked you, but didn’t? Please share (and your answer). What do you want to learn next? I want to learn to have more and more compassion for myself and others. I want to learn to love the unknown and maybe ‘unknowable’. I want to experience a serious breakthrough (in terms of both enjoyment and skill) in some sort of physical activity or game such as golf or dancing or speaking a foreign language. How can our readers follow you or your company on social media?